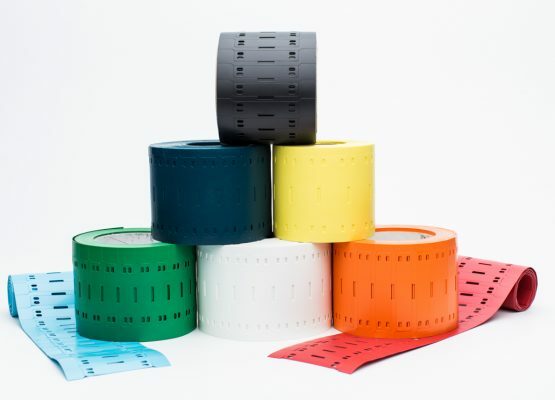 Tie-on Cable Labels are made of thermoplastic polyether polyurethane (PUR or PU). They are halogen free, flame retardant (raw material fulfils UL94-VO), water and micro-organism resistant. 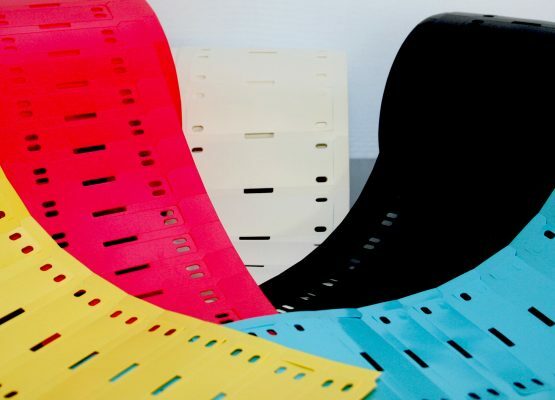 Designed to be fixed to the cable or wire using cable ties, they are available in many colours as standard. They can be supplied unprinted or pre-printed according to your particular specification. PUR cable tags allow you to create clear, unambiguous cable identification tags for both indoor and outdoor applications. They can be attached to wires, cables, bundles, pipes, and many other items using cable ties or lacing cord. Often used to identify data centre wires, a/v cables, power and ground cables, cable harnesses and larger data/electrical cable installations, they offer excellent tear, solvent, heat and UV resistance over extended periods. 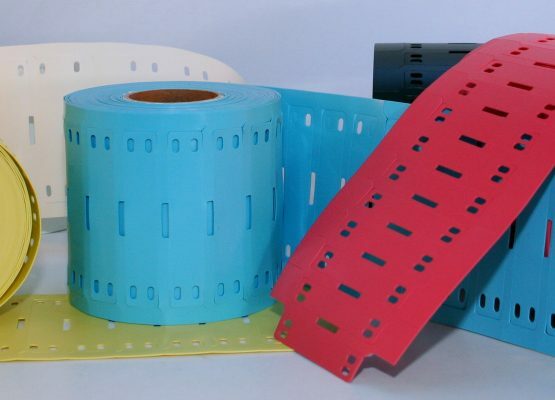 They are supplied on rolls in an all-in-one construction where the extruded marker functions as the carrier which has been partially perforated for easy separation. They are available in a number of configurations including 1 or 2 across and diamond. 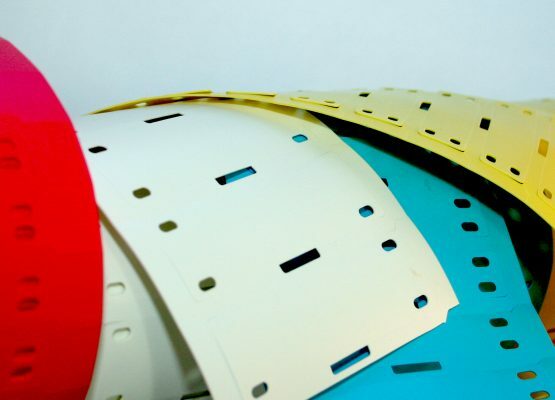 A variety of other types of tie-on cable labels such as laminate markers can also be supplied on request.